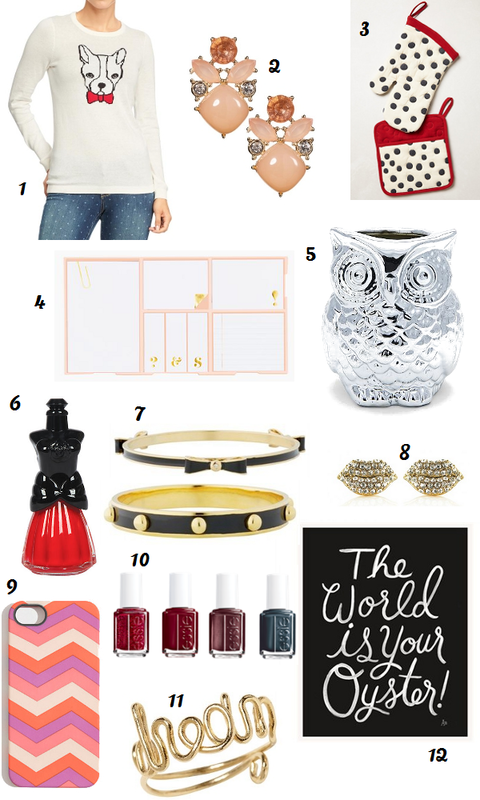 First off, thanks for all the positive feedback on Tuesday's $10 gift guide! I'm glad you enjoyed that post as much as I enjoyed putting it together. Today's round-up of gifts is at a slightly higher price point, but still very affordable. I particularly like the idea of cute potholders, stationery, or a scented candle as a hostess gift.